Just in case you don't get our email, I wanted to be sure you'd seen this! With the anti-gay adoption ban declared unconstitutional, we are going to have to defend the victory in Tallhassee. Help us ensure our allies are there to fight with us. Subject: Nervous About the Election? 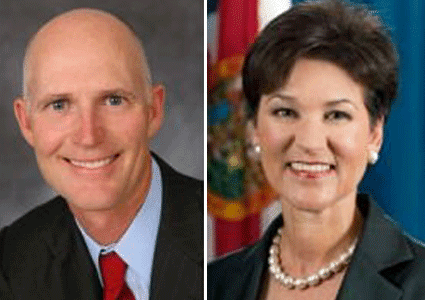 Rick Scott says: "Children should be raised in a home with a married man & a woman..."
Alex Sink says: "As a mom who cares about what is in the best interest of Florida's children, I support the end of this ban." Are you feeling anxious about election day? I am, because with the most important Florida elections in a generation just 12 days away, most of the key races are still too close to call. And the stakes couldn't be higher with incredible champions for LGBT equality running against anti-gay extremists. Every political expert agrees these races will come down to one factor - voter turnout. And that's where you can help us make the difference. We've spent the last 10 years building a massive database of hundreds of thousands voters - the largest pro-equality database in the entire state. In the next two weeks we can make sure our supporters turnout and vote, but we need your help. Your contribution of $25 will help us reach 100 additional pro-equality voters. More than a decade of experience has taught us the most effective, least expensive ways to get our Voter Guide into voters' hands. Through a combination of phone calls, canvasses, print materials, emails, websites, and social networking we can be the difference in this crucial election. Our friends can win, but they need our help.